Pretty Pollinator This colorful arrangement is designed to attract bees and hummingbirds. 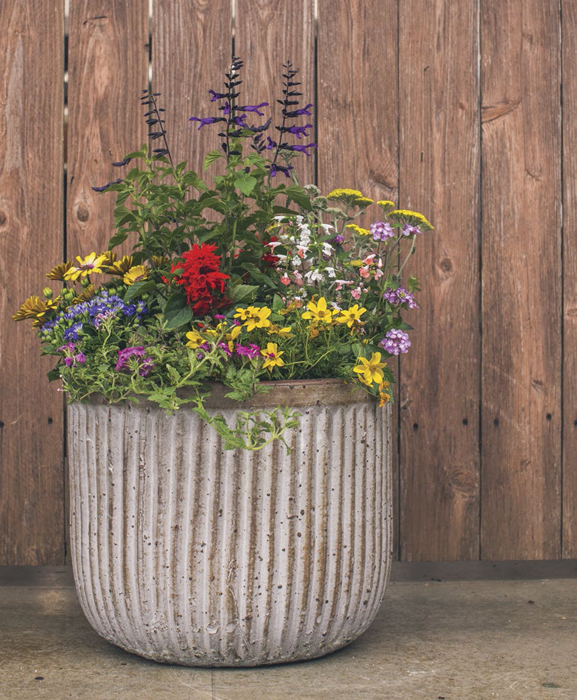 Want instant gratification in the garden? 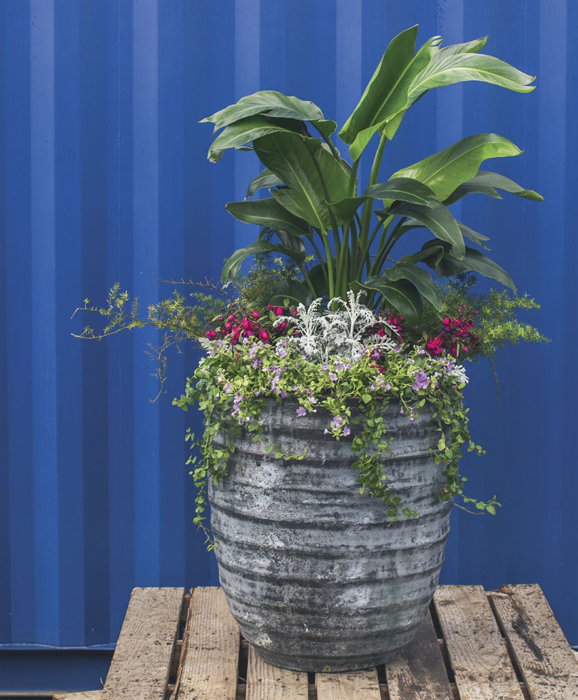 Try potted plants. This serene scene mixes traditional and modern elements to great effect. 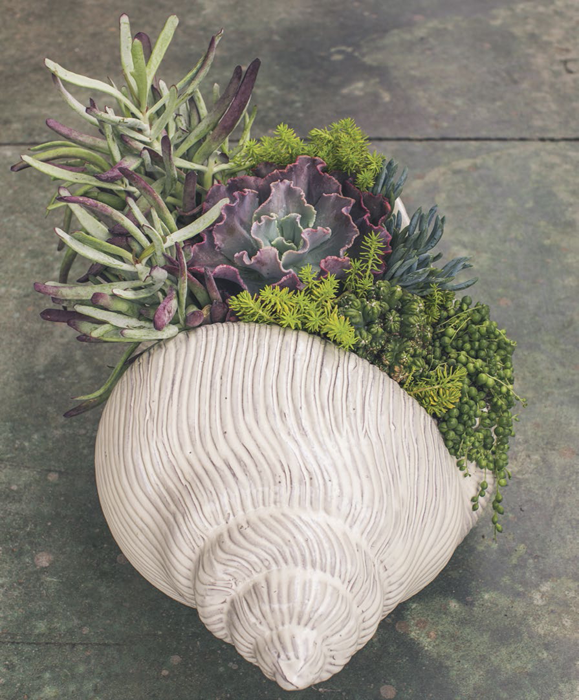 Sculptural succulents are tucked into a whimsical vessel. 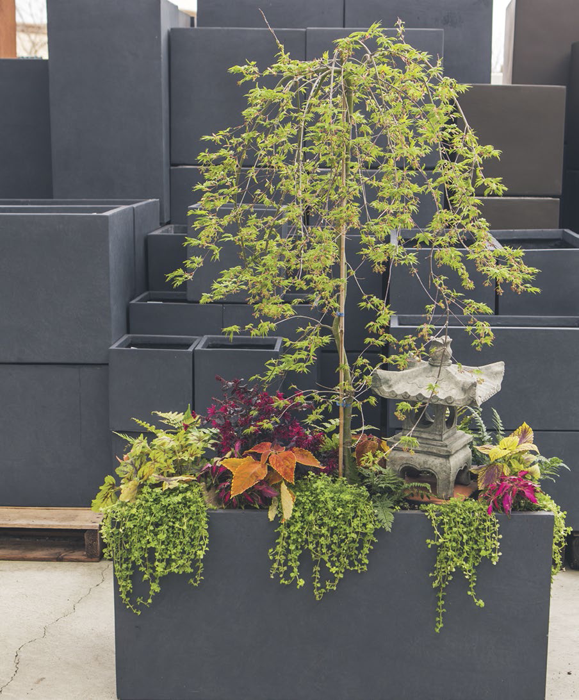 This lush plant combination has a laid-back island-style feel.